Make Back to School More Fun! Can you believe it’s almost time for our little ones to head back to school? I don’t know about you, but I’m so excited for my youngest to start pre-school! G, along with some of his besties, have been playing all summer and I think they are just as excited to see their friends again. Part of me is a little sad that my youngest is “off to school” since that means that he is officially growing up! He’ll be in pre-school three days a week and the other two at home, with his older siblings, doing his homeschooling work. Mostly, we are going to focus on learning to read this year, since he loves books, knows all his letters, and has told us he is ready on numerous occasions. The hardest part about having two kids at home and one in a traditional school is that he often doesn’t want to go to school. Many mornings he begs us to stay home with his older siblings, which is why I always look for ways of making regular school more fun, exciting, and special. Enter one of his obsessions: fun backpacks and lunch bags from Apple Park. 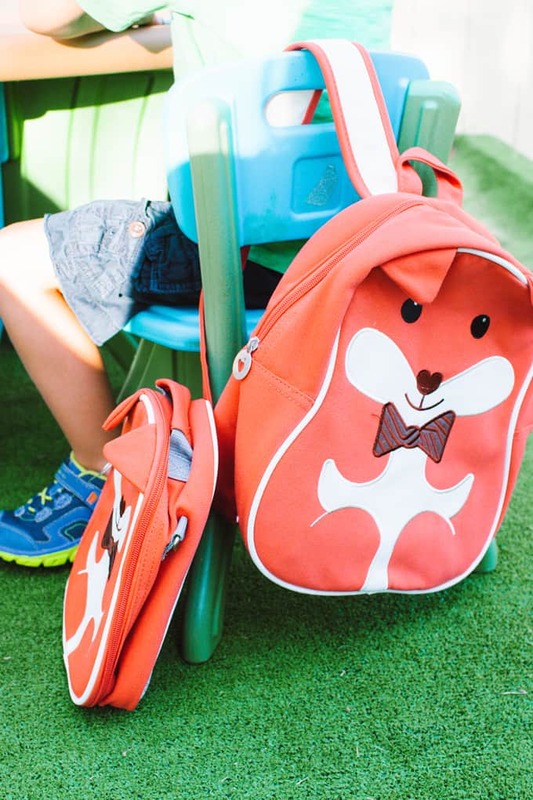 While he loves animals and how fun it is to have a backpack, as a mom, I look for gear that is durable and functional. I also love that the eco-friendly backpack pals from Apple Park are machine washable and made from a sturdy, water-resistant fabric that feels like cotton… but they are also made from recycled plastic bottles! 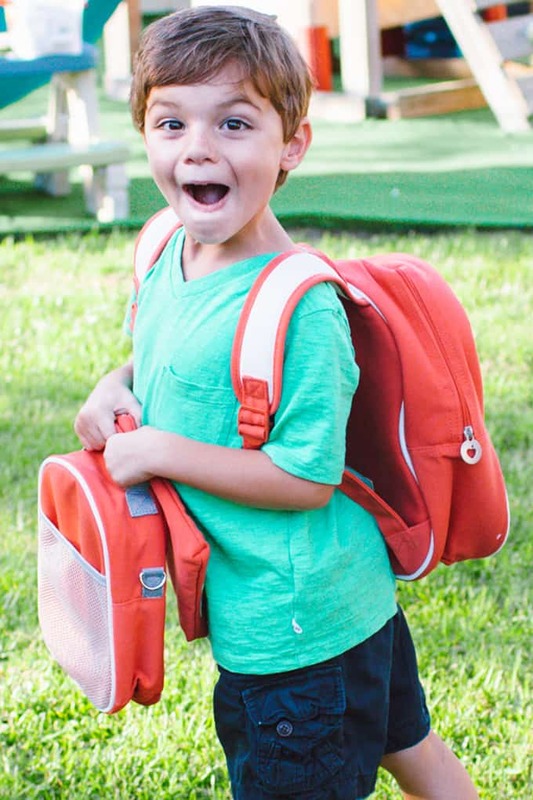 The kids love them too since they are easy to carry, the zipper top makes packing a breeze, and padded shoulder straps keep active kids comfy and carefree. 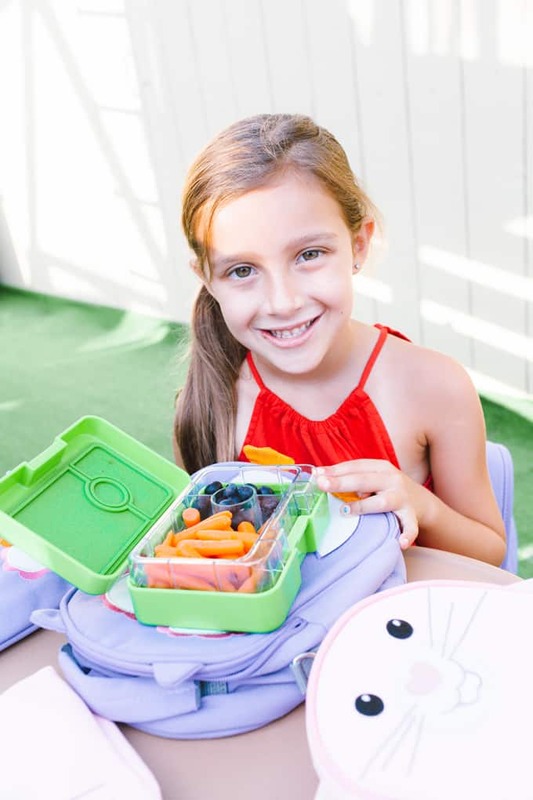 We also love to pack his favorite snacks inside the insulated lunch packs, which are big enough for his snack, a water bottle, and other things. He calls his, the animal-food-bag; and if you knew my G, you’d know that the name is very fitting, as he often devours a meal and his favorite food is “meat.” I couldn’t make this up if I wanted to. As I was taking these pictures, he opened his snack bag and said “what, no meat for lunch?” Yes, folks, this is my meat-eater kid and I love him. This year, I gifted his besties with a backpack, lunch pack, and snack pack set from Apple Park so they can all bring their favorite animal pals to school. Apple Park also has a great selection of unique baby and kids gifts that feature their adorable farm animals and patterns – from rattles, stuffed animals, blankets to cotton PJ’s that are definitely worth checking out! What is your favorite Eco-friendly backpack from Apple Park? All the owl backpacks would be great for my daughters. Or the penguin! 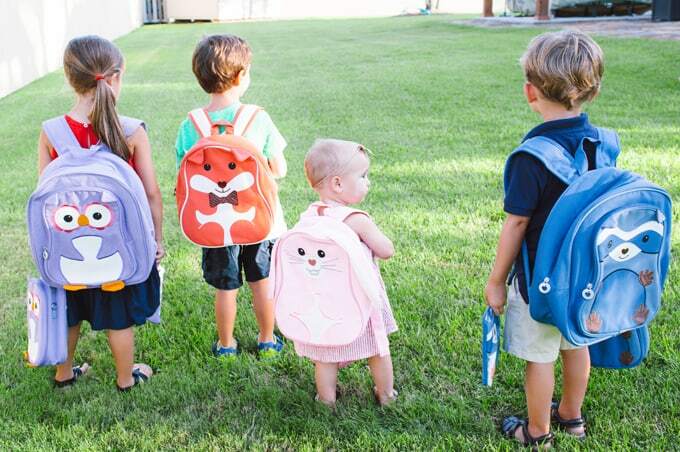 That is hard to choose they are all so cute and I love big backpacks on little kids :). Pink is my daughter’s favorite color so everything pink :). Lots of interesting things you can do with recycled materials! Have not yet Tried these products but would love to! 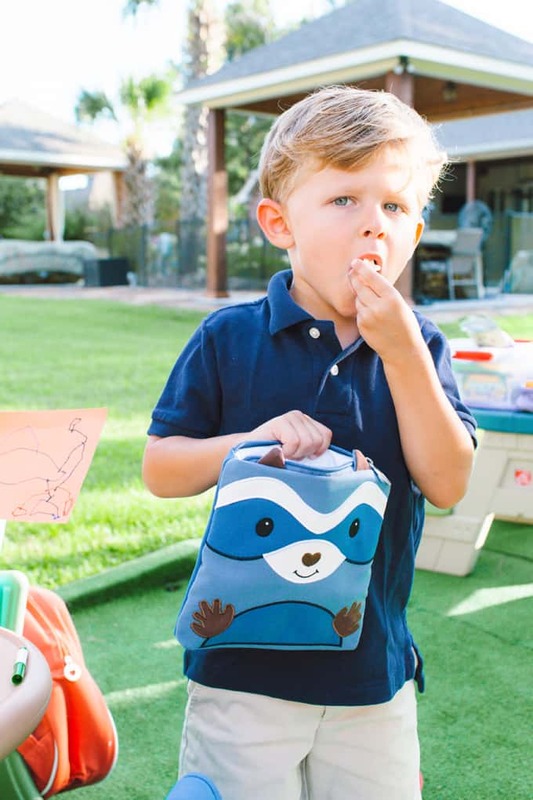 I love the raccoon backpack, but my son will probably love the fox! Both are adorable!